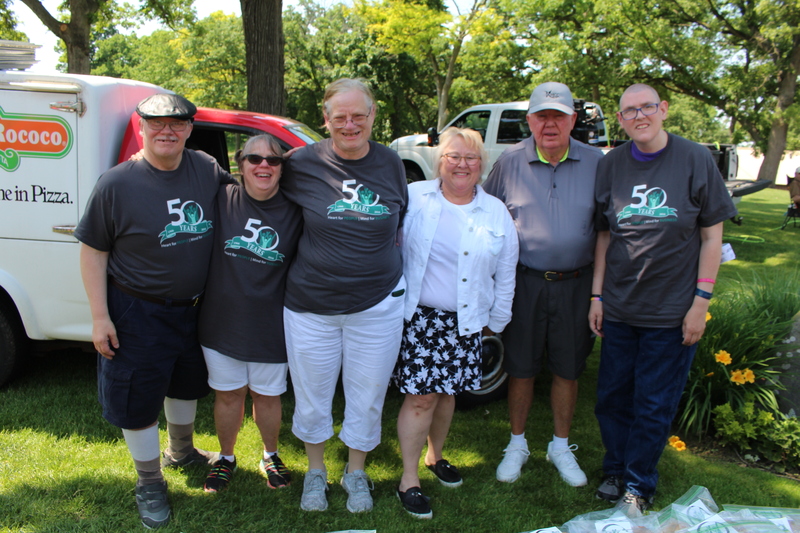 Opportunities, Inc. Held 16th Annual Golf Outing - Opportunities, Inc.
Over 130 golfers joined Opportunities, Inc. at their 16th Annual Spence Jensen Classic Golf Outing on June 7 to support individuals with diverse abilities. All proceeds from the annual golf fundraiser benefitted their career advancement programs in providing valuable training and job placement for those who have difficulty finding and maintaining jobs in the community. 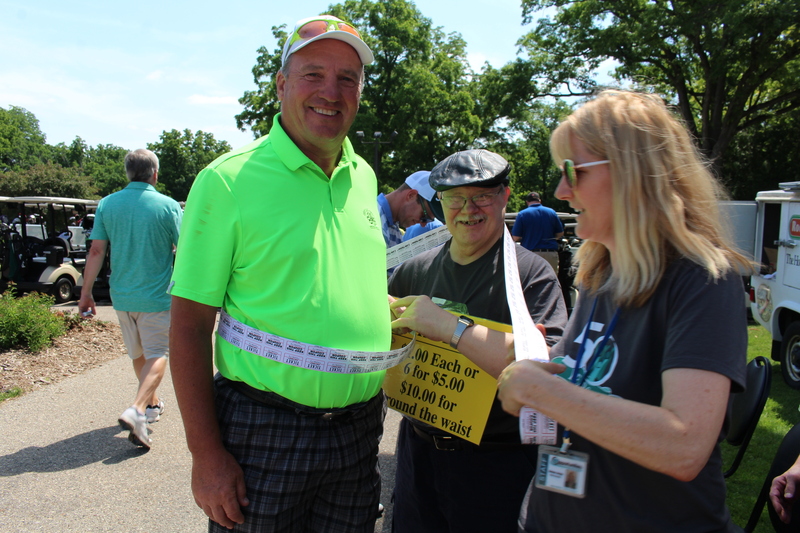 Aside from great turnout of golfers and beautiful weather, Opportunities, Inc. is grateful for the number of sponsors and donations received to make the event a success. The agency takes pride on the community’s response and appreciates all the generous contributions. A special thank you to Associated Bank for underwriting the dinner, Willis Towers Watson for underwriting the golf cart expense, and to Koshkonong Mounds Country Club for hosting the event each year. Barb LeDuc, Opportunities Inc. President/CEO, and Spence Jensen, Past Opportunities Inc. President pictured with golf ambassadors Joe N., Nancy S., Denise G., and Tambi S.
Opportunities, Inc. staff member, Melissa Jaeggi, and golf ambassador, Joe N., sell raffle tickets and helped “expand” the waist of the golfers. Copyright © 2010-2019 Opportunities, Inc. - All Rights Reserved.